Hatfield Acupuncture Treatment. Traditional Chinese Medicine. Hatfield Acupuncture Practice is run by Helen Taylor Weekes, Co-Director of the practice and Senior Acupuncturist with over 30 years of practical and teaching experience. 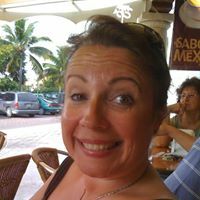 Helen works alongside Maggs Rasmussen BA BSc (Acupuncture) MBAcC. Maggs is a Traditional Acupuncturist. As well as the Hatfield Practice Maggs works at the Whittington Hospital Pain Clinic in London. Helen and Maggs practice Traditional Chinese Medicine (TCM). Helen Taylor-Weekes Acupuncturist. BSc. (Hons), LicAc, MBAcC. We specialise in using particularly gentle traditional Acupuncture techniques. Modern ideas and traditional values are an important part of our Hatfield Acupuncture treatments. Traditional Acupuncture is an effective system of medicine that’s been around for thousands of years. We apply a modern twist. The Hatfield Acupuncture Practice take pride in providing our patients with a gentle yet highly effective treatment that attends to both the cause of the disease and presenting symptoms. Accomplished without the use of chemical drugs or invasive procedures. Hatfield Acupuncture can strengthen your immune system, reduce pain, release endorphins & serotonin, regulate hormonal cycles and work on areas ordinary medicines find hard to treat even with powerful drugs. Conditions that most commonly present to us are spinal (sciatica), muscle (spasms), nerve and joint pain (arthritis). Also each year some problems return such as hay fever, shingles after stress, sports injuries, trauma such as falls and car accidents, hot sweats ( menopause) are just a few conditions that come to mind. In our opinion Acupuncture tends to succeed where other medical approaches have failed. If you are unsure and need guidance call and ask to speak to Acupuncturist Helen if you are uncertain what’s best for you or Call our friendly Hatfield reception for advice. 01707 888229. We try our best to make it easy. The potential benefits of Acupuncture are widely recognized and researched. Acupuncture is being increasingly integrated with mainstream health care as an alternative to strong painkillers. With Acupuncture the risk of side effects is low and the potential benefits are high. Knowing what to expect from our Hatfield Acupuncture Practice will help our patients get the most benefit from treatments. The Hatfield Practice Acupuncture treatment from an informed perspective. During the last ten years Helen a developed her specialism Acupuncture for fertility, IVF, male fertility problems & pregnancy-related conditions. She loves Acupuncture and is still completely committed to the holistic and natural approach to health. When correctly applied, acupuncture and osteopathy can work so well to encourage health and wellness. Modern ideas and traditional values are an important part of our Hatfield Acupuncture treatments. Traditional Acupuncture is an effective system of medicine that’s been around for thousands of years. We apply a modern twist. The Hatfield Acupuncture Practice take pride in providing our patients with a gentle yet highly effective treatment that attends to both the cause of the disease and presenting symptoms. Accomplished without the use of chemical drugs or invasive procedures. Hatfield Acupuncture can strengthen your immune system, reduce pain, release endorphins & serotonin, regulate hormonal cycles and work on areas ordinary medicines find hard to treat with drugs. We have over 25 years of clinical experience and still enjoy what we do today as much as ever. Acupuncture performed at the Hatfield Practice is one of the safest medical treatments. Both conventional and complementary, on offer today. Traditional Acupuncture will often work when all else has failed. It is just brilliant for so many conditions. The World Health Organisation recommends traditional Acupuncture and millions of people worldwide use it for all types of chronic and acute health problems. We Specialise in pain relief, stress, fertility, male/female health issues, pregnancy and infertility, low immune system and energy. Acupuncture can be incredibly relaxing, so is very effective in relieving stress, anxieties as well as improving sleep and energy levels. Short Acupuncture Waiting Lists – NHS waiting times for Acupuncture can be painfully long and performed by Physios. Our Traditional Chinese Acupuncture Clinical Expertise – Includes joints, disc, nerve and musculoskeletal pain. It is brilliant for Hay Fever, Infertility, Fatigue, Post Illness, Stress, Shingles & Post Viral. Early Acupuncture Diagnosis and Treatment – Our ability to cross-refer between Physio, Osteopath or Acupuncture means a more rapid recovery. We Are NOT Physiotherapists That Have Done Short post- graduate Courses – Both Helen and Maggs have both achieved Bsc. Hons in acupuncture and spent many hours in postgraduate study. Time served experience is our strength and lies at the heart of great treatment. Treatment is tailored to your personal needs. Traditional Chinese Acupuncture is a highly skilled profession and takes at least four years to train. Acupuncture is a completely natural approach to health and provides effective relief for a huge range of conditions from fertility issues to headaches and irritable bowel conditions. Our Welwyn and Hatfield Acupuncture Clinic is run by Helen Taylor – Weekes and Margella Salmins. Helen has nearly 25 years of experience and has worked in analytical chemistry before. When it comes to individual patients needs no one else comes close. Our bodies have a natural healing power that comes from within all of us. Acupuncture works so well to encourage health and wellness. Acupuncture treats health conditions by stimulating “acupoints” found at specific locations on the surface of the body. Very fine and painless needles are inserted into various Acupuncture points which can stimulate the body’s own healing response and help to restore its natural balance. This has also been shown to cause the release of our own natural painkillers, endorphin and serotonin. The general theory of acupuncture is that proper physiological function and health depend on the circulation of nutrients, substances and energy called Qi (pronounced “chee”) through a network of “channels” or “meridians.” This network connects every organ and part of the body, providing balance, regulation and coordination of physiological processes. Pain and ill-health result when the flow of Qi through the body is disrupted or blocked by many things, including disease, pathogens, trauma/injuries and medication (side-effects), as well as lifestyle factors such as overwork, poor diet, emotions, lack of rest and stress. Stimulation of the appropriate acupoints through acupuncture treatments helps to restore sufficient, continuous and even flow of Qi and other nutrients throughout the body, thereby restoring health and balance to the body, while relieving pain and other symptoms. The Acupuncturist uses a sophisticated and complex system of diagnostic methods that take into consideration the person as a whole, discerning the body’s pattern of disharmony rather than isolated symptoms. The aim is not only to eliminate or alleviate symptoms but more importantly to treat the underlying cause, increase the ability to function and improve the quality of life. Thousands of local people have benefited from Treatment at The Hatfield Acupuncture Practice.